In this Phantom 3 review we look at its innovative technology and features which make this drone the most popular on the market. 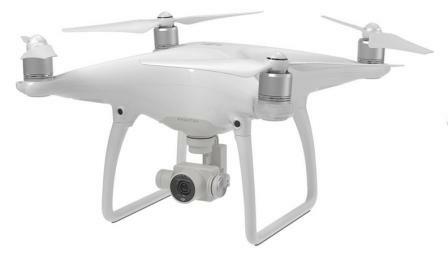 In the past couple of weeks the DJI Phantom 3 has become even better value with lower prices. Further down this post, I have links to where you can get the best prices for the Phantom 3 Professional, Advanced and Standard models. Even though, there are newer drones from DJI on the market, the Phantom 3 nevertheless has everything you would want in a drone. Many of the top aerial landscape filming on YouTube have been filmed with the Phantom 3. The Phantom 3 is very powerful, highly responsive and will fly precisely to your commands. 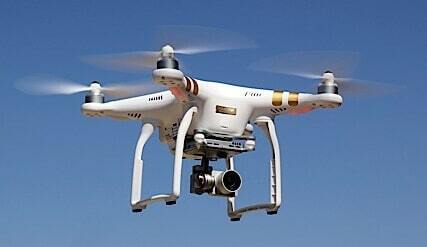 The integrated gimbal and camera greatly assist you to take professional aerial photos and film. Without doubt, the Phantom 3 is very impressive to fly and film with. This Phantom 3 review with videos takes a close look at the flying and filming capabilities along with its features and improvements. The Phantom 3 flies longer; has a 4k UHD camera; a new Vision Positioning system; stronger GPS signalling and reliability; a totally revamped remote controller; massive improvement in precision flying with much improved responsiveness and performance from both the quadcopter and camera. If you would like to also read up on the latest DJI drones, then you can also pop over to our Drone Reviews section of posts. 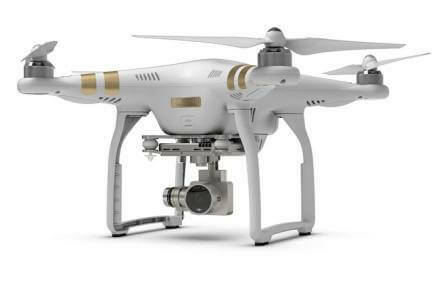 You have the Standard, Advanced and Professional Phantom 3 Models to choose from. The Professional is the top model. It has a better remote controller, a camera which captures 4K (Professional model) or 2.7K (Advanced model) video & 12.4 Megapixel photos. The Professional and Advanced models have the DJI Lightbridge Video downlink giving it a far long range the the Standard. The Professional and Advanced have a video downlink range of 3.1 mile (5 Km) while the standard has a 0.62 miles (1 km). There are a number of models of the Phantom 3. While the Phantom 4 is out on the market a good while now, you can still buy Phantom 3 quadcopters from many retailers. So there are some terrific low prices for Phantom 3 Pro bundles offers at the moment. Remember, up until very recently the Phantom 3 was producing nearly all the spectacular aerial film which you see on YouTube. Because the Phantom 3 was so popular, you will always be able to get spare parts, upgrades and accessories for years to come. First Person View up to 1.2 miles (2 km). This real time First Person View view is displayed at 720p HD on your iPhone or Tablet giving you a tremendous view of everything the camera sees with real clarity. You are practically sitting in the Phantom 3. With this clarity, you’ll have no problem getting the best video or aerial photos. Here’s a terrific video showing all flight modes. Pretty awesome. The Phantom 3 increased FPV range and in high definition is made possible by the inbuilt DJI Lightbridge wireless transmission technology. The Phantom 3 uses a high powered quad antennae system which is constantly broadcasting the high definition video feed. This high powered antennae system also receives control commands from every conceivable direction. The Lightbridge system with its high powered communication signals cuts through complex environmental interference and allows for greater flying distances which very few other drones on the market can achieve without large dishes and antennae. With the Lightbridge integrated into the Phantom 3 quadcopter and the Remote Controller, it also takes less time to get setup. You’re flying in no time. Another tremendous feature on the Lightbridge FPV system on the Phantom 3 is that you can now stream live 720p video direct to YouTube. This is a terrific for live coverage of any event, where live feed is required. Now that’s impressive. If you choose the Phantom 3 Professional which comes with the 4K UHD video camera, then you can really capture crisp images and video. You will have a tremendous choice of resolutions and settings to photograph and film in every possible terrain and environment. Believe me, it will be hard to film or photograph badly with this camera. This 4k Professional camera practically eliminates any lens distortion as it has been specifically designed for aerial photography and cinematography. It has an f/2.8 lens and a 94⁰ field of view which also eliminates the fish-eye view. This lens brings the most vivid colors to life which no other drone in this price price range can match. This camera certainly is high tech with 9 separate elements, including two aspherical elements. The Phantom 3 Professional camera with its dual aspheric lens greatly reduces and practically eliminates spherical aberration and also reduces other optical aberrations such as asastigmatism, when compared to a simple lens which most other drones use. The camera on the Phantom 3 are huge improvements on any other drone on the market in this price range. Some of the best drone videos up until now where with the Phantom 2 and GoPro Hero 3 or 4 combination. Now imagine the quality of video with the Phantom 3 Professional camera. Here’s a look at some terrific smooth flying and aerial cinematography over NYC. This is a terrific video as it shows both day and night filming. I have to say both day and night filming are impressive. Here are some more terrific and informative Phantom 3 drone videos for you to enjoy. After viewing the below videos, here is another terrific article with 15 drone photography tips. These tips cover lens filters, filming in RAW format, the thirds grid, UAV forecast, auto exposure bracketing, counterpoints, juxtaposition, lighting, leading lines, creating depth in photos and much more. If you buy the Phantom 3 Advanced model, it also comes with a fully integrated camera. The camera is also impressive and shoots 1080p video up to 60 frames per second. This camera has an enhanced sensor which gives tremendous clarity, focus and lower noise. It can also take 12 megapixel photos. The photo camera settings are very similar on both the Professional and Advanced models. When it comes to gimbals and UAV stabilization, DJI really have set the standard in this industry. They are second to none when it comes to gimbal design technology. With the DJI gimbal, your camera is held perfectly stable in every flying mode and condition. The gimbal makes the most difficult aerial photography seem easy. The gimbal and camera are easily controlled through the Remote Controller or DJI Go App. The Remote Controller has been practically re-designed specifically to make flying the Phantom 3 and capturing great aerial film easier. This Controller is more comfortable to hold with all the buttons fitting naturally to your touch. There are now dedicated buttons to let you take aerial shots and also tilt the camera. It is now easier to and more automatic to fly the Phantom 3 with new features such as auto take off and a specific fail safe return to home button. The DJI Go App allows you to customize buttons on the Remote Controller to your liking. The Phantom 3’s intelligent flight system design makes this one of the easiest drones to fly with many features using just one touch of a button. With all the latest technology, the Phantom 3 processes information from multiple sensors. It calculates complex flying and stabilization parameters in real time giving you a care free flight. Auto Take Off: Just one simple tap in the DJI Go app allows your Phantom 3 to turn on its motors and rise to a preset height. It will then hover patiently in place (this drone is almost human) until you give it flying instructions. Auto Return Home: If for some reason that GPS is not available, your Phantom 3 will remember the exact place it took off from. With one tap of a button on your remote control, you can tell your Phantom 3 to return home. Fail Safe: If the Phantom 3 battery is running low or if the quadcopter loses its connection with your remote controller, the Phantom 3 will automatically return to the takeoff point. Geofence Beginner Mode: The Phantom 3 has a special beginner mode which allows you to fly in a limited area. This is a GPS enabled geofence which is easy to setup and your quadcopter will only fly inside these limits. 3 new visual and ultrasonic sensors on the under belly of the Phantom 3 allow it to scan the ground and surroundings and identify its position and move accurately without the need of GPS. If you like to fly indoors, in high density forests or surrounded by tall buildings, then it is possible to lose GPS. These sensors allow the Phantom 3 to hold position and altitude in these environments without the need for GPS. On the Phantom 3, there are 2 Ultrasonic send/receive sensors and 1 Optical flow camera sensor which make up the Vision Position System. Ultrasonic sensors evaluate a target by interpreting the echoes from radio or sound waves. Active ultrasonic sensors generate high frequency sound waves and evaluate the echo which is received back by the sensor, measuring the time interval between sending the signal and receiving the echo to determine the distance to an object. The Ultrasonic sensor in the Phantom 3 basically ping the ground and receive back these measurements. The optical flow sensors are vision capable and can measure visual motion. It then outputs these measurements to the IMU and Flight Control System. In the Phantom 3 the Optical flow camera sensor recognizes and calculates the horizontal movement. Video Editing Software: Assists you in compiling your best footage in seconds. Live Streaming: Send to YouTube a live stream of your flying in real time. Live Map: Allows you to track your Phantom 3 everywhere. Easy to use: The DJI Go app is intuitive and simple to understand. You have complete control at your fingertips. Complete camera control: All the camera modes and settings to photograph and film in any environment, condition or event. Automatic Flight Logs: Allows you to review all past flights, giving time, duration and a preview of the photos and videos you took. 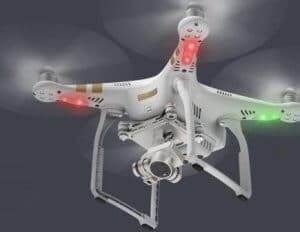 Advanced Flight Recorder: This system constantly records data from all of your Phantom 3’s internal mechanisms, which can be easily shared with the DJI support team if you ever have any questions or issues. Interactive Flight Simulator: You can practice flying your Phantom 3 and become a real professional pilot without going anywhere. The flight simulator gives you an almost real life experience of flying your Phantom 3 and using the remote controller. Flight Replay: Allows you to playback your flights in full. This playback includes the recorded map, flight telemetry and commands. The director software allows you to create videos quickly and share them instantly. Choose the best video moments or aerial photos from your flights and build a complete video including the ability to add music. This video editing software has professional templates which you can choose from. In other words, you don’t need to be a professional film maker to create videos. Here is a terrific video where Eric Cheng of DJI discuss the Phantom 3 and its new features including ground breaking technology previously introduced in the Inspire 1. Both Phantom 3 Advanced and Professional models are flown, with some testing of the new Vision Positioning System (VPS) and stabilization systems including filming some 4K video over beautiful San Francisco. The Phantom 3 flight system has been thoroughly upgraded giving you a magnificent flying experience. It contains the best and latest developments in flight technology. 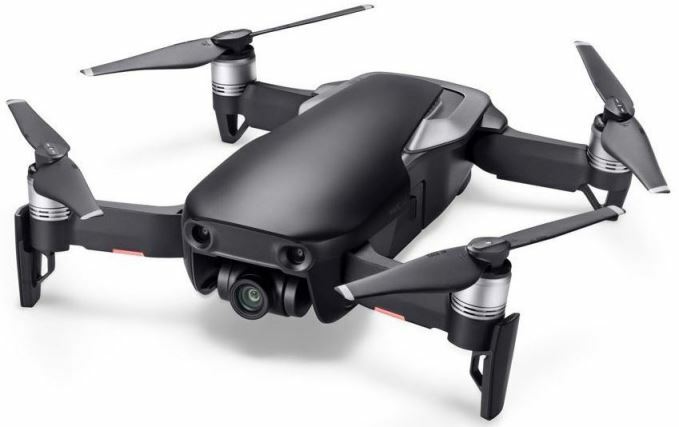 This drone has more power, and with precision responsiveness to your touch on the controls makes it a dream to fly. The flight system is the brains and central nervous systems of any drone. In the Phantom 3, the flight system consists of the Main Controller, Inertial Measurement Unit, GPS and Electronic Speed Controllers. All this technology gives you a better and safer flying experience. The Main Controller is responsible for processing and analyzing flight data in real time and needs serious power. The Main Controller is the central control center and brain of your Phantom 3. It collects data from the entire quadcopter, including motor speed, your GPS location, control command inputs, data from automatic sensors, and thoroughly analyzes it all to tell your Phantom 3 exactly how to behave at any given moment. The Phantom 3 use the best of both worlds when it comes to navigation. It combines both GPS and GLONASS to make the Phantom 3 completely aware of its location at all times. It hovers very precisely, moves extremely accurately and locks onto satellites faster. Combining the availability of GLONASS, you get a minimum of 36 navigational satellites available to you from around the world at any time. Through the DJI Go app, you can track the Phantom 3’s location on a live map and record your takeoff point so you can bring it back to you with the tap of a finger. The latest highly advanced Inertial Measurement Unit (IMU) technology on the Phantom 3 is responsible for its superb flight stability and very responsive flying. Inside the IMU, you will find a 6-axis gyroscope and an accelerometer which records and relays even the smallest changes in tilt and movement. It is constantly feeling and sensing, detecting the slightest changes and compensating for them immediately and automatically. Motor speed is one of the most critical aspects to any flight. On the Phantom 3, each motor is managed individually by the Electronic Speed Controllers (ESCs). These ESCs on the Phantom 3 are bidirectional and relay vital motor speed information to the Main Controller while at the same time sending commands back to the motors based on your input. This stream of constant communication keeps the Phantom 3 extremely stable in flight, and also helps you achieve any flight maneuver from gentle pans to rapid acceleration. Each motor has more power than any previous Phantom quadcopter. These more powerful motors give you the best flight experience possible. The brushless motors work with lightning fast Electronic Speed Controllers to make your Phantom 3 very fast, real agile, and so responsive. These powerful motors give you the ability to speed up, quickly increase or decrease altitude, and stop immediately. The Aerodynamic self-tightening propellers help boost thrust and stay firmly in place no matter how you fly. The Phantom 3 uses a powerful air braking mechanisms to stop and hover in place immediately as soon as you release the control sticks. The Phantom 3 battery has higher voltage and more energy. This greater power combine to give a vastly improved and longer flight experience. This upgraded smart battery has built-in sensors and bright LEDs which let you know the status and remaining power of your battery in real time. Your Phantom 3 is continuously calculating its current distance from you and the amount of power needed to return, so you always know how long you can continue flying and when it is time to recharge. If you like to delve into the world of drone programming, here is your opportunity. You can develop your own app by using the DJI Software Development Kit. The Phantom 3 platform is fully open and allows you to program apps with great flexibility. DJI has a tremendous online forum and following so you can get plenty of terrific support if you need it. There are loads of options and additions to their basic package. Here is what you can expect to arrive when you buy the Phantom 3. Also check out these Phantom 3 bundles over on the DronZon Store. Here’s a terrific Phantom 3 review which takes you right around the system. Here is a Phantom 3 Standard model review.